Most of us simply sit and graze at the array of beautiful nail art designs showcased by people said to be the most talented nail artists in the world. But we are really scared of trying it all by ourselves. We sit back and think that oh god, this is going to be so difficult or oh no! I am not at all a good artist and my hands shake! Let me assure you that there is nothing to worry about! Nail art is not a daunting task. All you need to be is patient when attempting it the very first time. With patience you will attain beautiful nails at the end of the task! 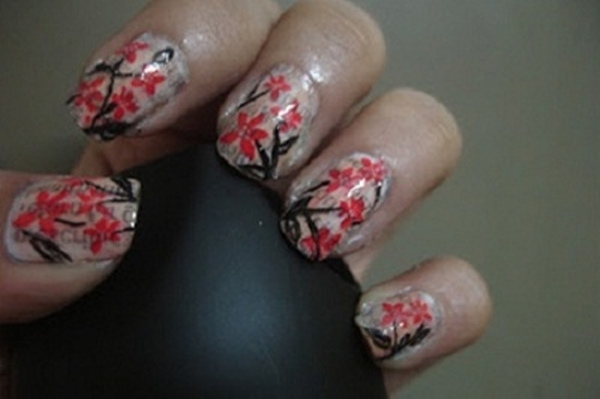 All you need is a proper guidance which could guide you in practicing nail art yourself. 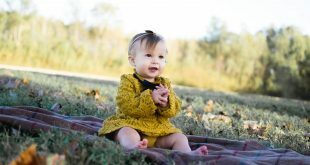 Here is when this article comes into play and is meant to help you get beautiful nails all by yourself! 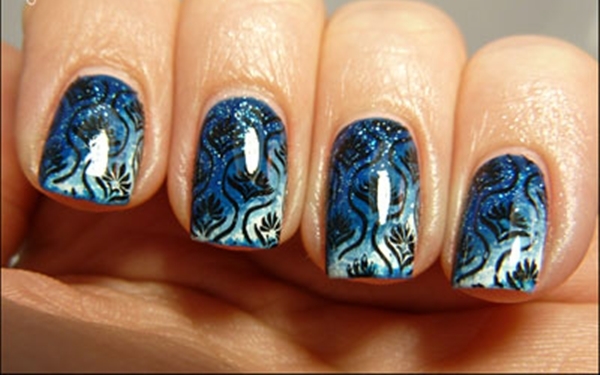 Pump up yourself with lots of patience and lets begin the easy nail art design guide just for the beginners! 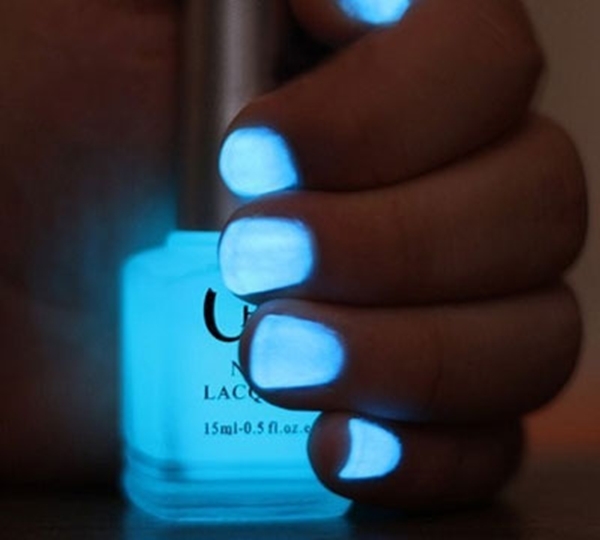 If you like to go the easier way, then you can simply buy a nail varnish which comes with totally cool effects. This actually saves up lot of time and effort. 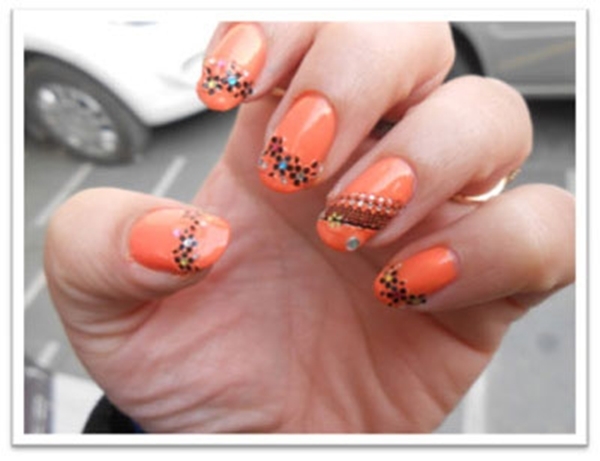 Another method that saves up you time and helps you easily in getting beautiful nails is nail sticker. These stickers come in variety of designs and are easily available in the markets. 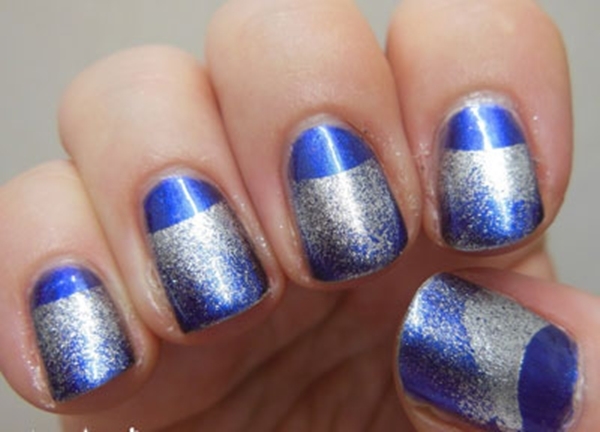 Stripes are vintage nail art design and looks very cool. Stripes can be done easily even by a novice and doesn’t require much effort on your part. 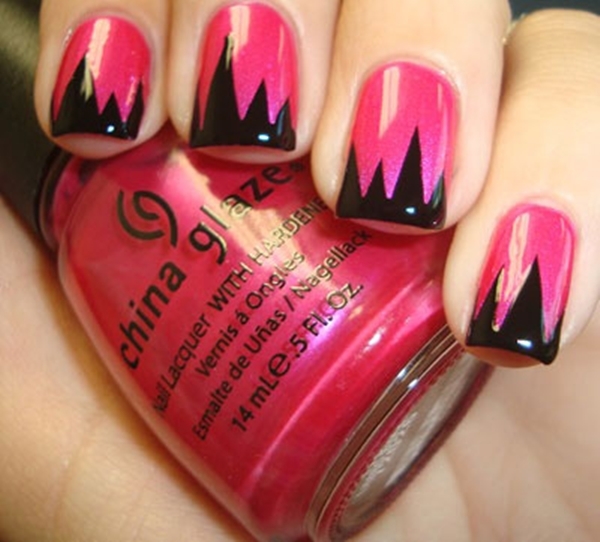 Attempt the stripes with super thin nail paint brushes or nail pen. 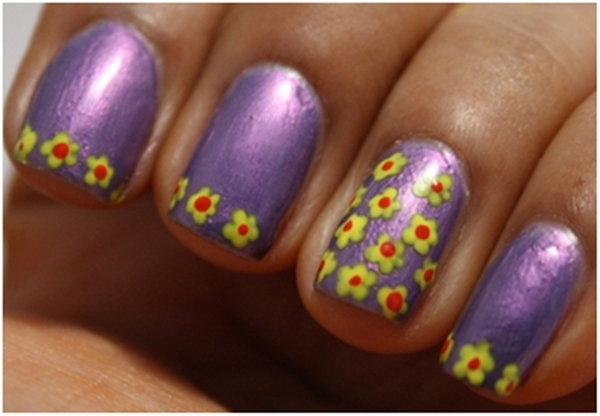 If by now you have learnt how to create dots on nails, it would be easy for you to draw flowers out of it! 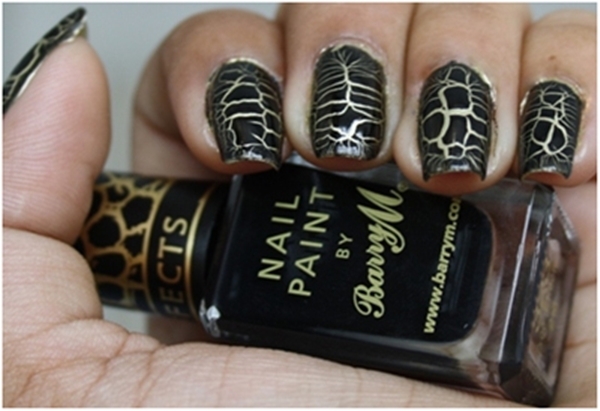 Animal prints such as that of a tiger, zebra etc are quite easy to do and look ravishing! 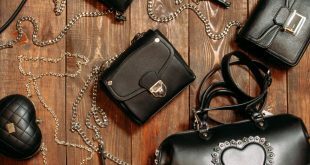 The rhinestones are easily available in the market. 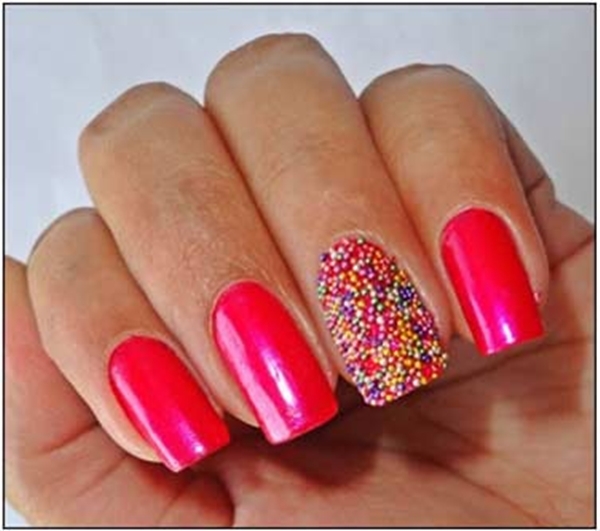 In order to stick the beautiful colorful rhinestones on your nails, you would need a nail glue! Although they look beautiful, they tend to come off fast! 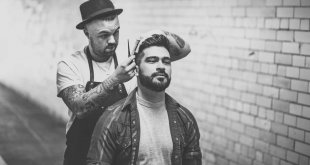 To get this look you will need a really good hand and lots of patience! 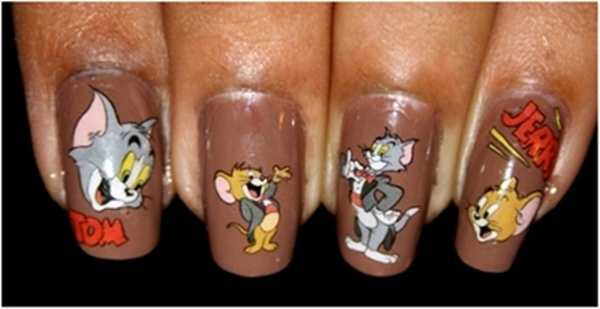 Make use of a thin stick or a toothpick to draw your favorite cartoon on your nail. 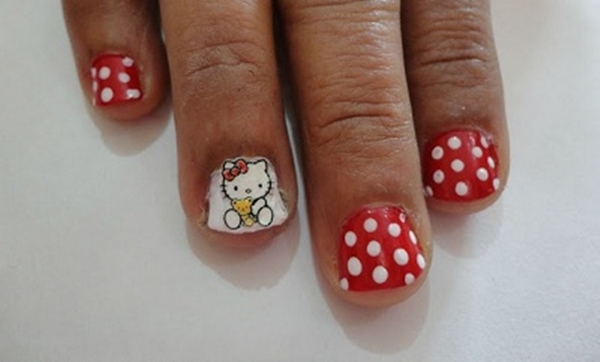 This is the easiest of the lot and requires an imprint of a newspaper on your nail. 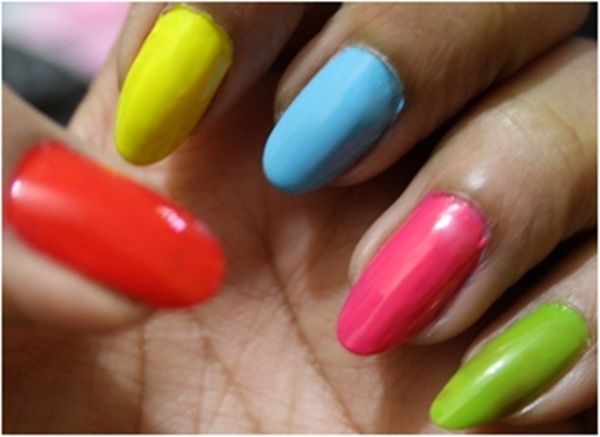 You can also make your nails look fab by going for more than a single stripe on your nails. Looks cool! 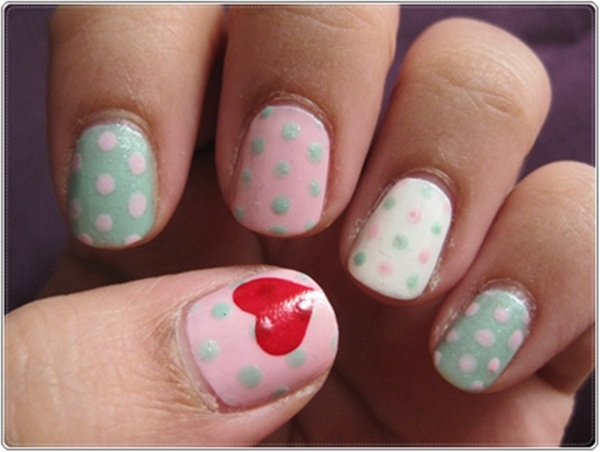 With the help of nail stickers, rhinestones or simply dots, now you can make a cute bow on your nails! 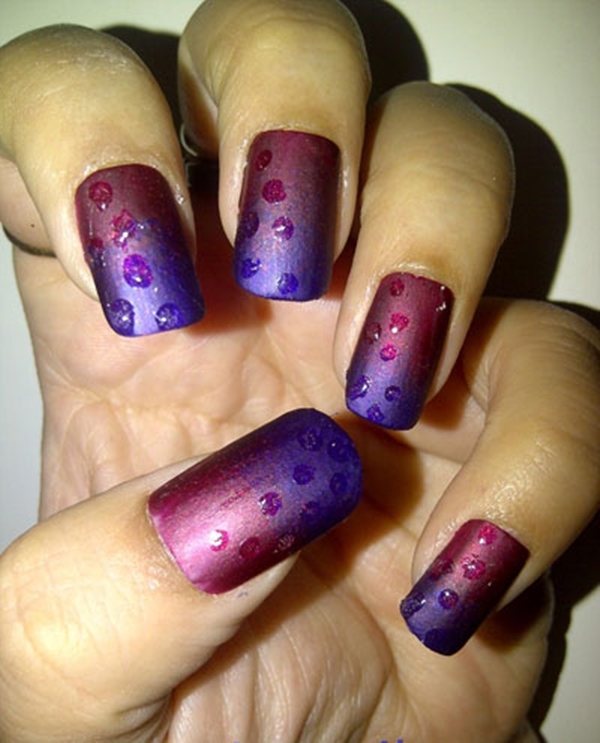 The caviar art on nails looks spectacular and really requires lots of patience. 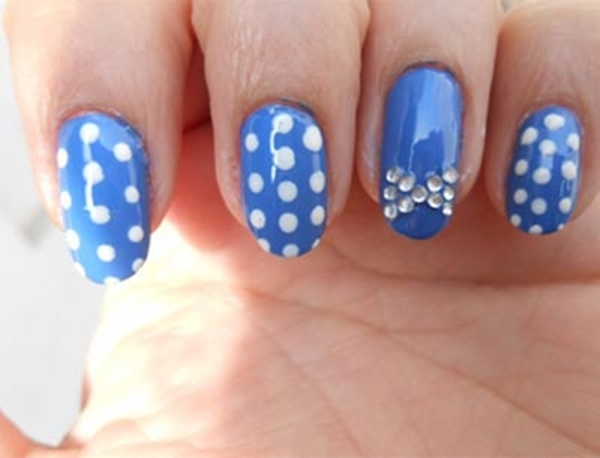 Use nail beads to get this effect! 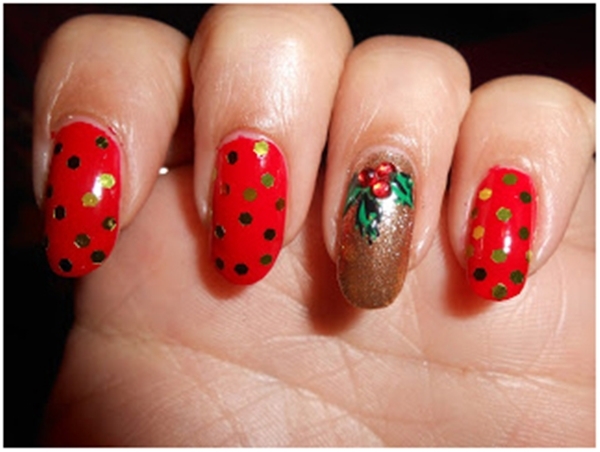 Now you can get festive by creating a cute little mistletoe on your nails. This would surely prove your mettle as a great artist! 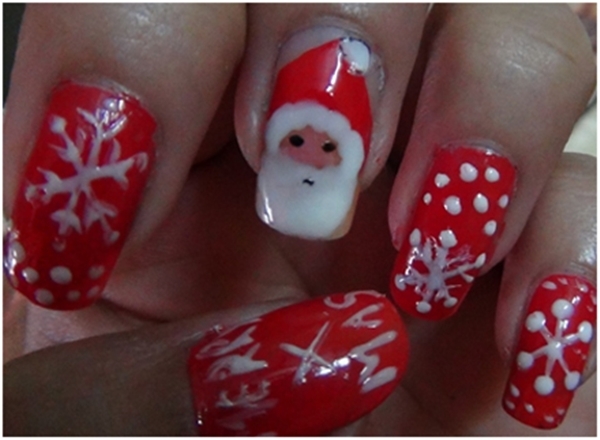 Celebrate Christmas by making Christmassy patterns on your nails such as a cute little Santa Claus and beautiful white snowflakes! Heart is a design which is quite easy to! 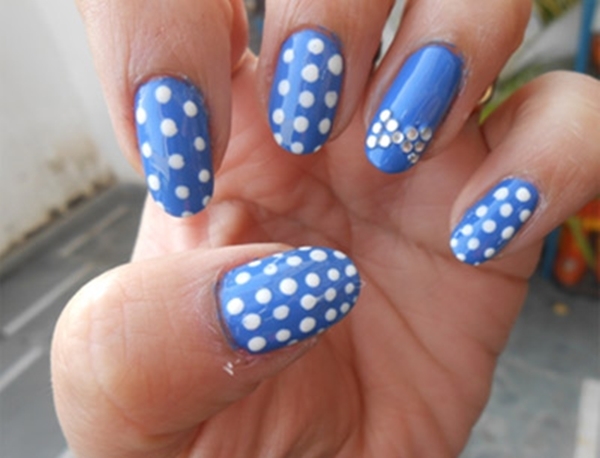 Merge it with polka dots for beautiful look. 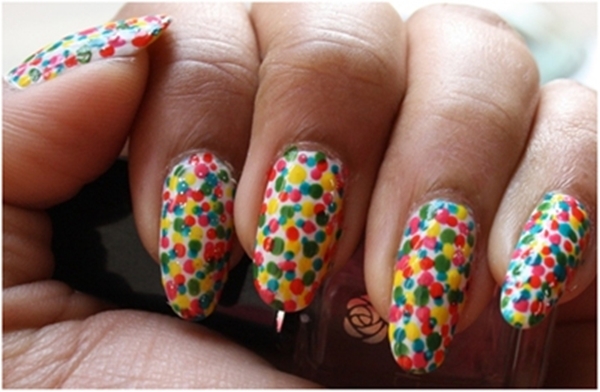 This is an easy task to do once you are an expert in making dots and sticking rhinestones to your nails. 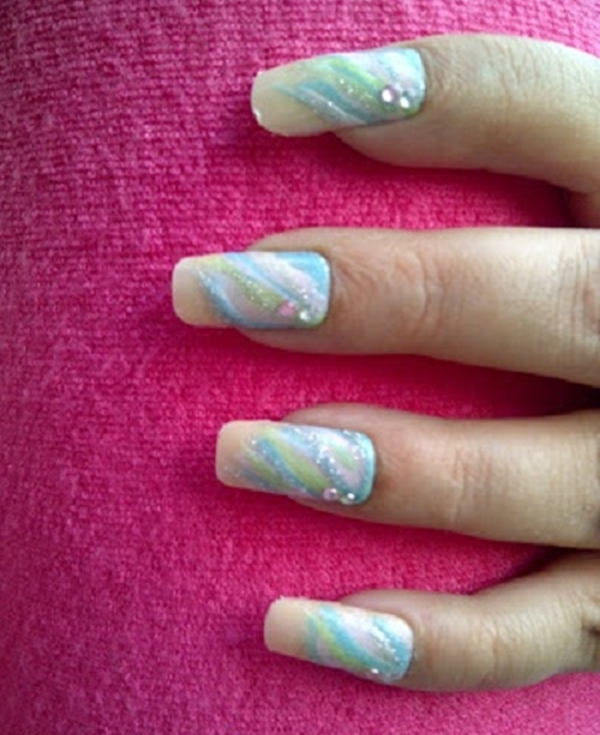 Getting this look for your nails is not at all complex and with patience you can get it easily! 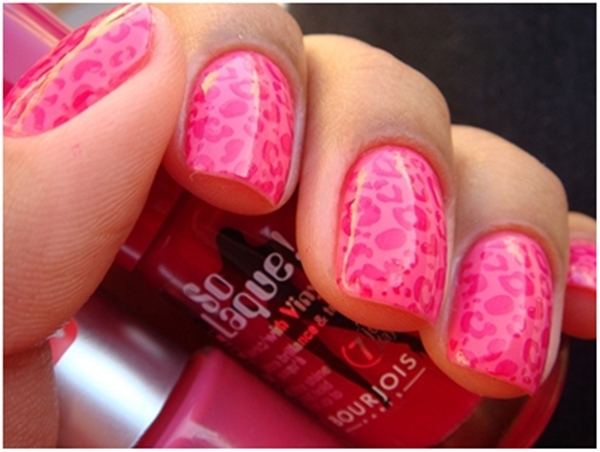 Just use really good nail polishes to get this design! Create half moon look with these beautiful colored rhinestones and make sure to use black as the background. 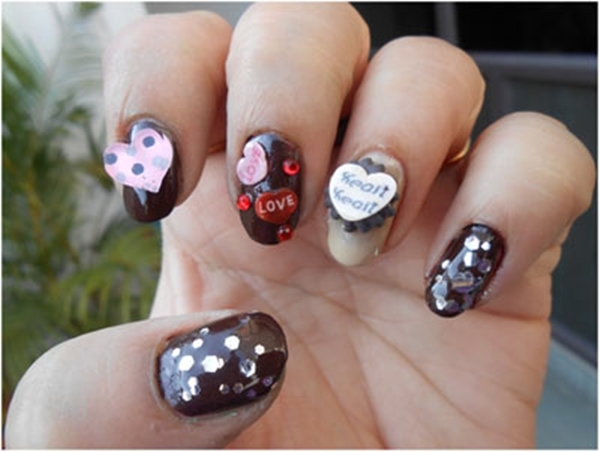 Show your love for sinful chocolates by creating these designs on your nails which are quite easy for beginners. Now you can easily add glitters to your nail using sponging technique! With the help of the glitters create the half moon effect! The water drops effect on your nails looks quite chic! 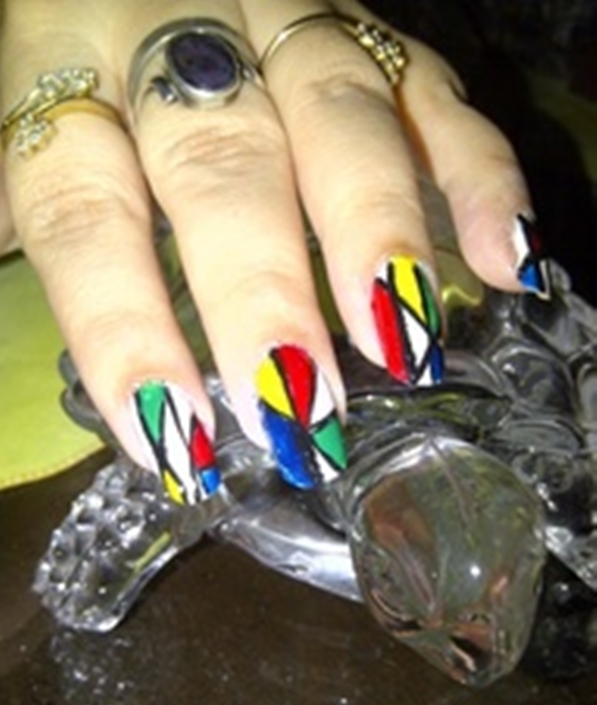 Give a digital and abstract look to your nails with the help of nail pen and colorful colors! Create the Feather look on your nails beautifully. 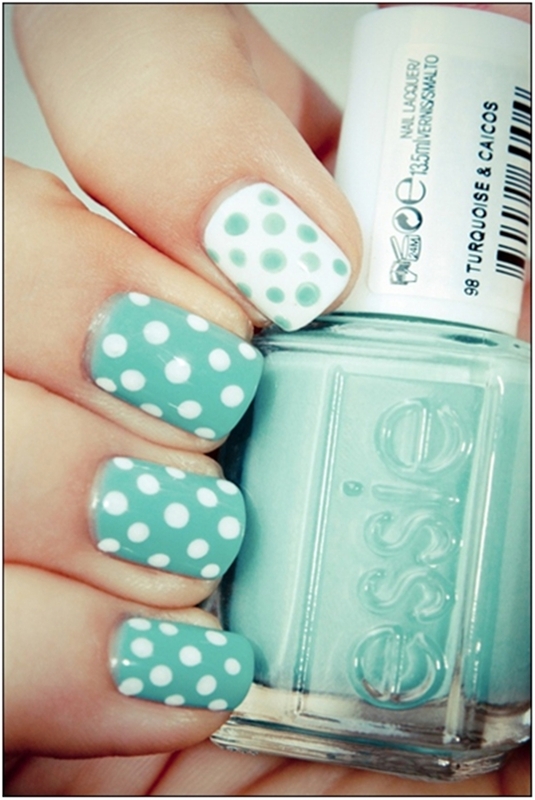 This is the season for mix and match, be it nails or clothes! 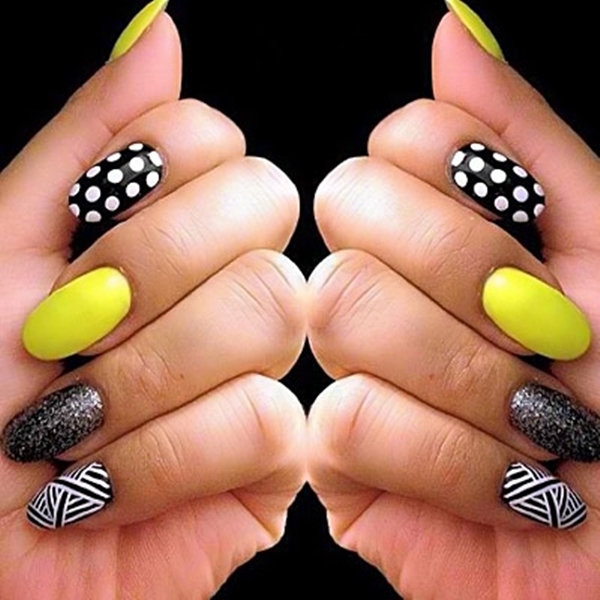 Let your creativity run amok with these beautiful designs on your nails. 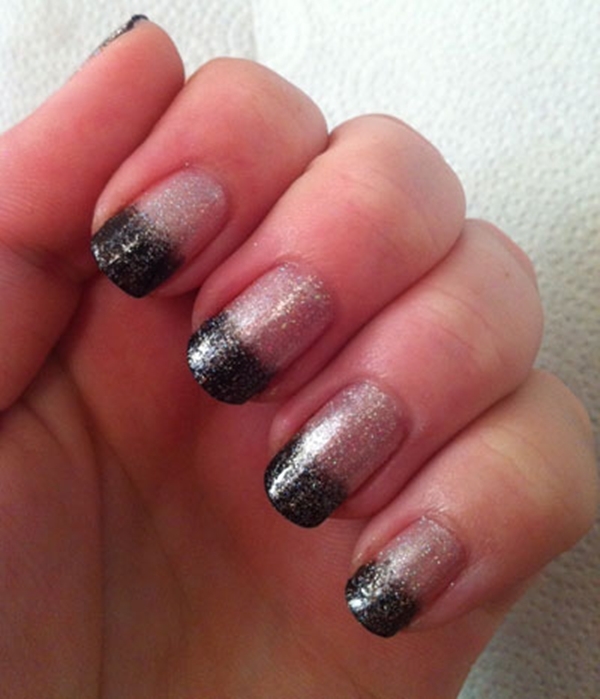 Use dark glitters on your nail tips to make your nails stand out! 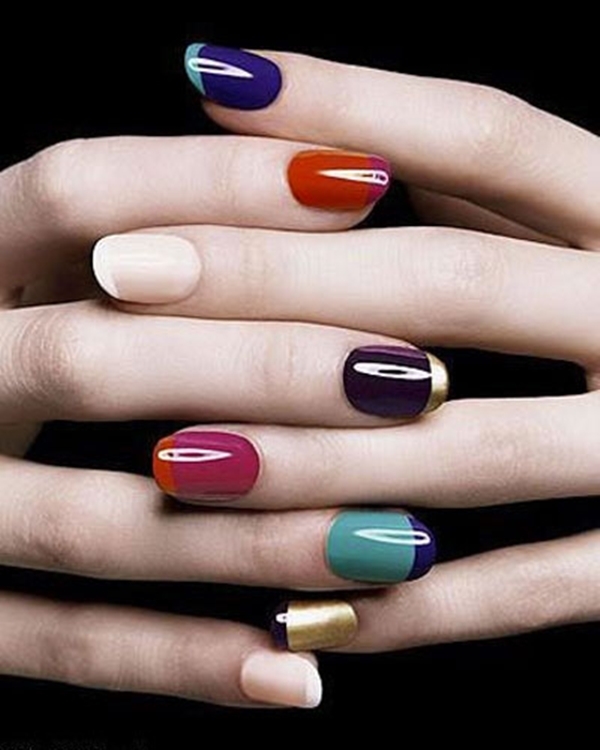 These nail paints are in vogue a lot nowadays and all you need to do is simply apply! Use nail stamping technique to get this awesome look! 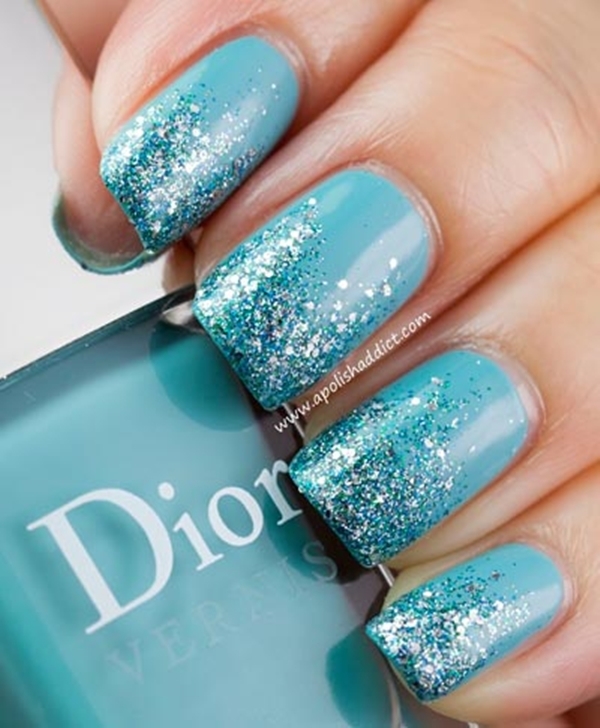 Shine like a diamond with these sparkling nails! 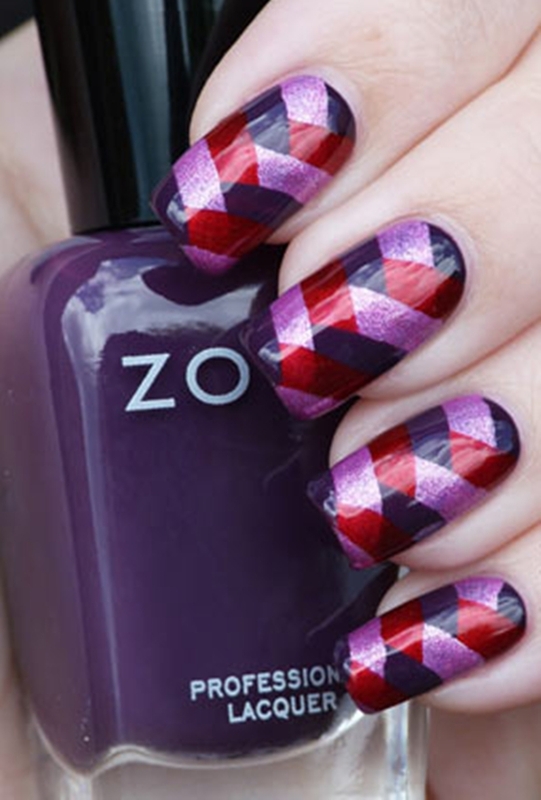 Get this diagonal look to make your nails appear classy! 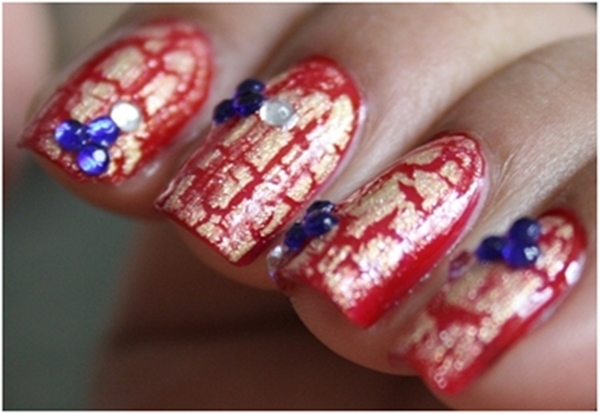 Get noticed with these French Inspired nail art designs. It is quite easy to do! As the name says, reverse the designs with the polkas alternatingly! 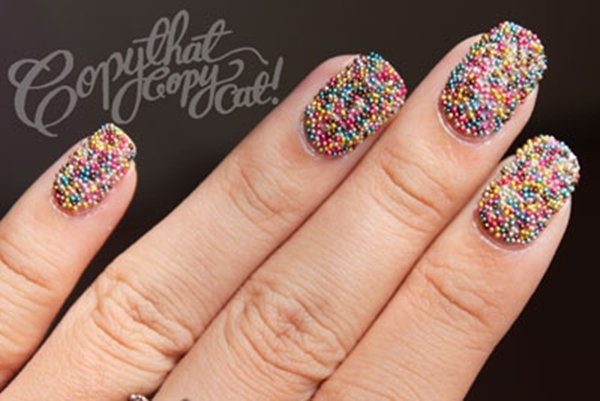 Colorful Caviar are totally in! 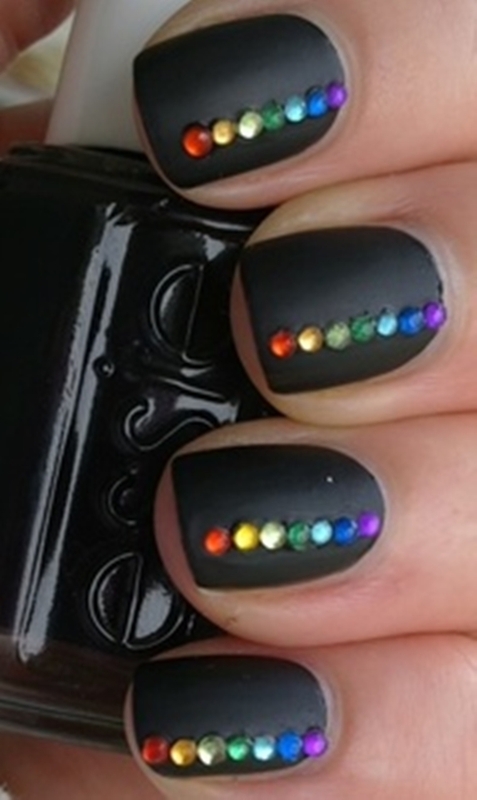 For this you will just need a matte black nail paint and colorful rhinestones! Get shimmer nail polish for this! 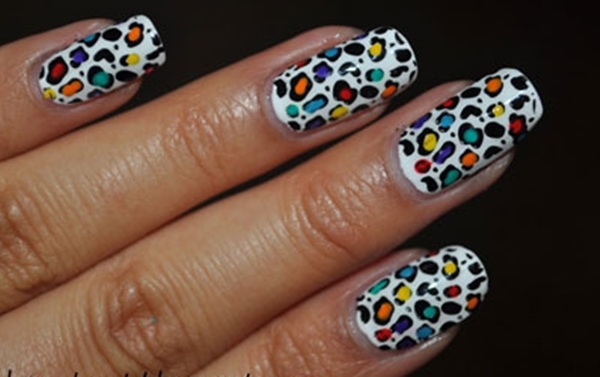 Leopard prints on nails look simply fab. 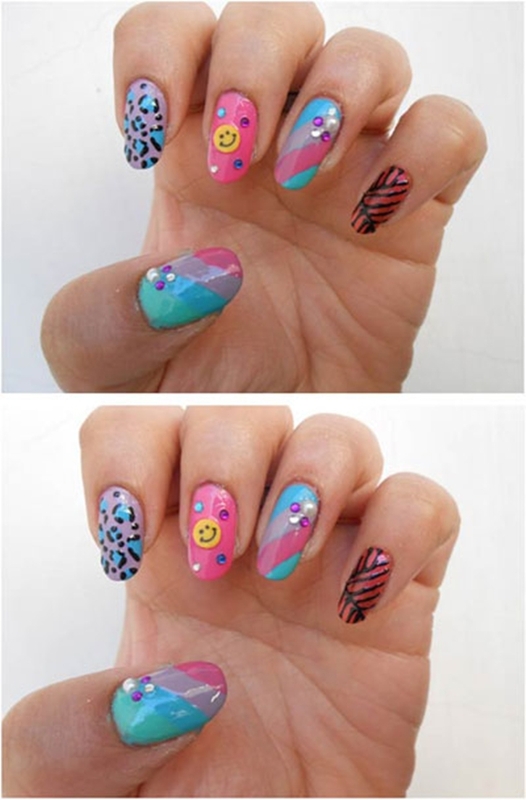 Funky nail art like these are totally in! Once again, French inspired nail art which is quite easy to do at home!